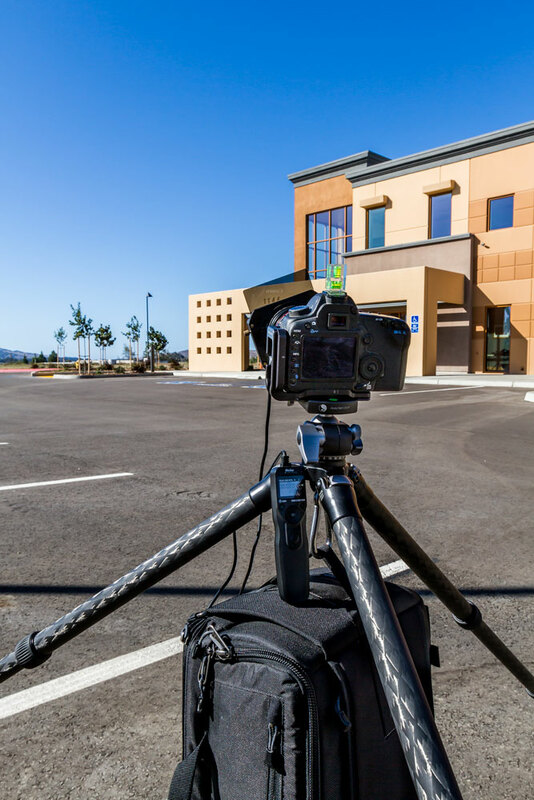 With the rising popularity of DSLRs in the world of video, one common crossover between the world of still photography and video has been the creation of time-lapse videos from still images. 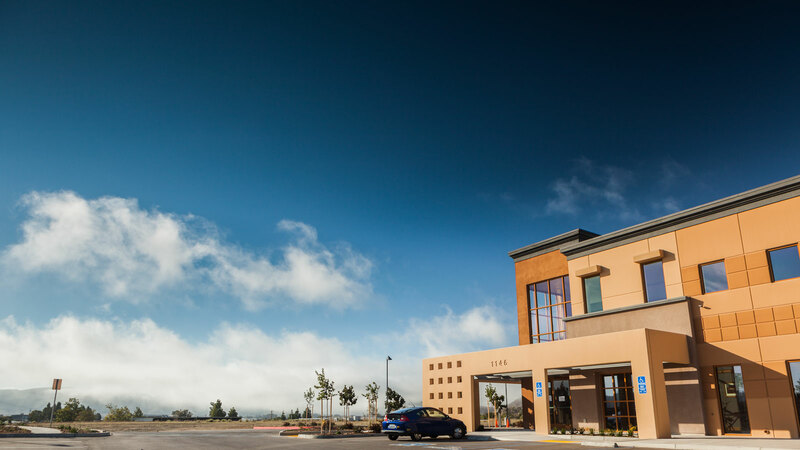 Rather than shoot video and speed it up or at a slightly slower frame rate, we shoot individual photographs as frames and process them into a final video. This gives us much more control over the time compression, lighting (especially lowlight where most video cameras might not be able to capture detail) and can combine other techniques such as long or high-dynamic range (HDR) exposures. Set up for a timelapse. Sturdy tripod and head — like our TVC-24L and BH-40 LR. Ballast/counterweights — Every Really Right Stuff tripod includes a built-in weight hook. We like using carabiners to hang our bags. 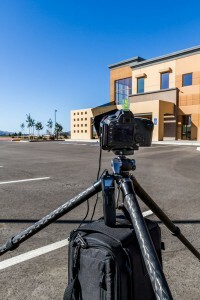 Timer remote / Intervalometer — While some cameras have intervalometer features built-in, many require an external timer control to perform time-lapse shooting. ND filters — For control over exposure, depth-of-field, and also for long exposures. Lens cloth — Clean the lens and sensor as much as possible ahead of time. Extra batteries — Battery grips give double capacity. Large CF/SD cards — RAW files take a lot of memory. 16GB or larger are recommended. Gaffe or cloth tape — Use it for covering the viewfinder and holding the focus ring, zoom ring, aperture ring in place. The settings used on the camera should be set manually for the most consistent results. Most DSLRs will have similar settings available — this list is independent of any particular camera. Shoot in RAW or sRAW capture mode. Use Manual White Balance (WB). If you are shooting a scene like a sunset, you will need to allow for changing exposure as the light changes by shooting in Aperture Priority mode (A or “Av”). Avoid using Shutter Priority as this will be more likely to cause flicker. Turn OFF auto image review. Set your lens to Manual Focus (MF). Turn OFF any lens/camera stabilization (IS or VR). Process RAW files using Lightroom®, Adobe Camera Raw®, etc. Make any style choices here — color, sharpening, lighting/exposure corrections, spot removal, etc. Batch rename files starting with “0001.jpg” (or similar) and convert to JPEG or similar compressed format. They should still be at native resolution at this point. Import the image sequence into the software for assembly of the video file. This can be done in Adobe Photoshop®, Apple Quicktime Pro®, or video editing programs like Adobe Premiere®. In most cases you have an option to “Import Image Sequence” based on the sequential naming scheme established above, and the assembly into a video file takes place automatically. Edit and render for output—Whether a part of a larger composition or standalone video, a good time-lapse will have audio (music) added, and take advantage of the 5000px wide frame resolution to incorporate simulated motion effects. Slow pans, pull backs, etc, enhance the depth of the scene along with the passage of time, immersing the viewer. “Strobing” or flicker during playback can be caused by using any sort of automatic metering or other settings which give slightly inconsistent results. Keep shutter speeds slower than 1/100. ND filters might be needed to achieve such speeds. This is also known as “dragging the shutter” and will tend to smooth out the motion in your sequence by adding a slight motion blur. Use apertures above f/8. Smaller aperture openings are harder for the lens to repeat consistently. They also bring out more dust spots on lenses/sensors that might accumulate while shooting. Shooting “wide open” at your camera’s maximum aperture will keep it the most consistent, but may affect depth-of-field too significantly. Tape over the viewfinder or close viewfinder curtain. This keeps stray light from entering behind the camera and affecting exposure. Using the “mirror lockup” function, on the other hand, requires special interval compensation but works well in minimizing camera shake for long exposure times. Try to anticipate movement within the scene. This will yield the best composition. Remember to think in terms of motion, since this will end up being a video sequence. Zero out all intervalometer settings. Do this each time. Set each one according to your shot. Decide either how long you want to shoot or how long you want the resulting video to be. You should know what frame rate the resulting video will be as well. The required interval can be calculated. 24 FPS Example: This video will playback at 24 fps, and the desired resulting shot will compress 2 hours of time into 10 seconds of video. 24 FPS x 10 seconds = 240 frames (shots). 240 frames ÷ 120 minutes = 2 frames per minute or a 30 second interval. 30 FPS Example: If you know how long you want your timelapse to be and a general idea of the desired video speed, you can figure out how long you need to record for using the same math. 30 FPS x 10 seconds = 300 frames (shots). Remember, the longer the time between shots (frames) equals a greater amount of time shown transpired. In other words increasing the time between your shots will increase the speed of your time-lapse video. If you feel like the video is moving to fast, decrease the time between your shots. Shoot 5-10 shots, stop it, and play back to ensure you are happy with the interval. Adjust settings if needed. Then format your card again before starting your actual sequence. Thanks for this basic introduction to capturing Time Lapse and what to take care off. I hope to try this myself very soon. This article is perfectly timed! There are some things here that I did know but a lot more that I didn’t. thank you! and thanks for Corey Hilz for the link in his newsletter. Black & White Effects 2.0 on the way from Topaz Labs!